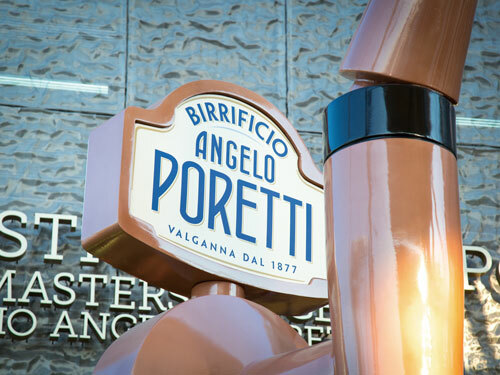 Official beer producer for the Italian pavilion, Birrificio Angelico Poretti helped slake the summer thirst of visitors to its Art Nouveau Brewery. A full selection of its beer varieties was available for tasting in a pleasant outdoor area, including a special Poretti 7-hop Beer brewed specially for Expo Milano 2015. Joining the party were four PT-RZ670 Series projectors – the world’s first 1-Chip DLP™ units to feature Panasonic’s original SOLID SHINE Laser optical engine technology delivering up to 6,500 lumens of brightness. Each was fitted with ET-DLE030 ultra-short lenses to light up the interior of individual dome shades with video presentations relating to the Poretti story.